He also provides training services in safe manual handling; perform functional assessments; carry out sub max and maximal fitness test; perform body composition tests, musculoskeletal assessments and provide lifestyle education to help clients manage their conditions. Accredited Exercise Physiologist are allied health professionals, providing exercise and lifestyle therapists for prevention and management of chronic disease, injury and disability. AEP have a higher level of qualification than personal trainers. Jeremy has a Medicare provider number and is a trained member of the health and medical sector. On the other hand PT’s are members of the sport and recreation sector. As an allied provider who can work closely with your local GP / Doctor and have a 4 year university degree qualified with ESSA. Jeremy specialises in graded exercise therapy and lifestyle interventions for persons at risk of developing, or with existing chronic and complex conditions and injuries. 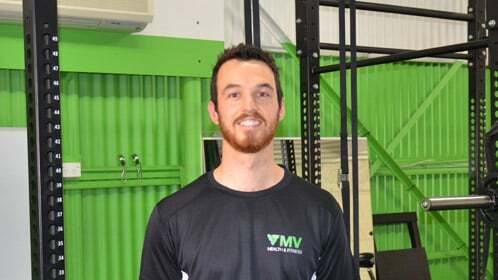 Our team at Moonee Valley Health and Fitness are here and ready to help you today! Our Melbourne clinic is based at 378 Mount Alexander Road, Travancore VIC 3032 but we also offer in-home and mobile exercise physiology throughout Melbourne. Download our Chronic Disease Management (CDM) form, and take it to your GP.